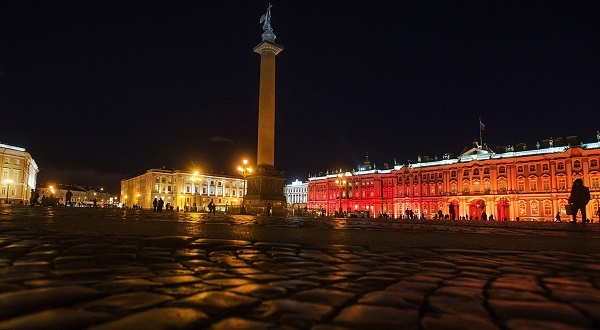 The traditional New Year light show will occur on the Palace Square. Welcome congratulation from the cartoon sausage dog for the upcoming holidays will be announced for the viewers before the show. Giant image of the dog - 2018 symbol- wearing a warm pullover will be projected on the facade of the General Headquarters building. The first light illumination is scheduled on the 28th of December at 6p.m.